The Kelham Island Brewery was purpose built in 1990 on land adjoining the renowned Fat Cat in Alma Street. The area is known as Kelham Island as the land is on an island formed by a mill race, leaving then running back into the River Don. Due to it's success in its early years, in March 1999 the brewery moved into our new purpose built premises at Kelham Island, very close to the original brewery. The new premises has five times the capacity of the original premises. The original brewhouse behind the Fat Cat has been converted into a visitor centre. 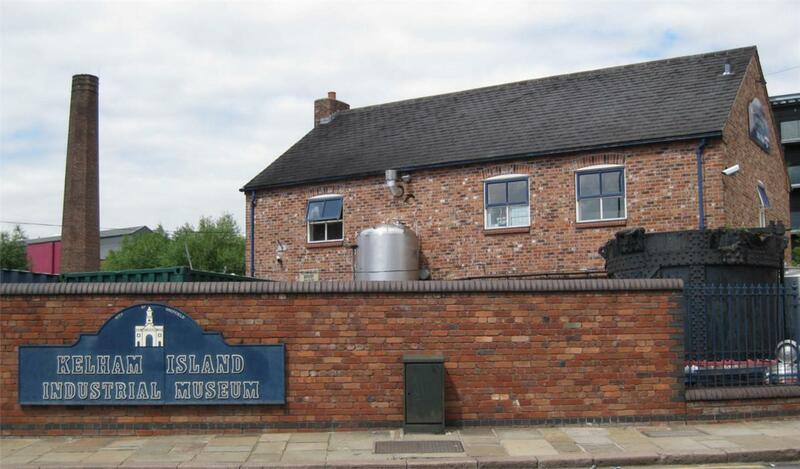 The Kelham Island Brewery is a full mash pure beer brewery which brews beers using only the finest malted barley and wheat, hops, yeast and water. No sugar is used, nor anything that might compromise the quality of the finished product. It is the policy of the company not to follow the commercially led practices of modern brewing, with the sole aim of producing beers of the highest quality from pure brewing ingredients. The range of beers brewed by the brewery has grown considerably from the early Bitter and Celebration beers. We always brew five cask ales which are widely available in Sheffield and the surrounding area. These are Pale Rider, Easy Rider, Kelham Bitter, Riders on the Storm, and Pride of Sheffield. We also brew different seasonal beers each month. Visitors to the brewery are welcome in organised parties of between 10 and 30 people. Private tours can be arranged on Monday, Wednesday and Thursday evenings, starting at 7:30pm and finishing by 9:30pm. The evening costs £7.50 per head and includes a tour by one of our experienced brewers, and a free pint of beer in the Visitors Centre which once housed the original brewery. Visitors to the brewery are welcome in organised parties of between 10 and 30 people. Private tours can be arranged on Monday, Wednesday and Thursday evenings, starting at 7:30pm and finishing by 9:30pm. The evening costs £7.50 per head and includes a tour by one of our experienced brewers, and a free pint of beer in the Visitors Centre which once housed the original brewery.